Paul Kitagaki Jr. shared the stories behind his moving exhibition “Gambatte! 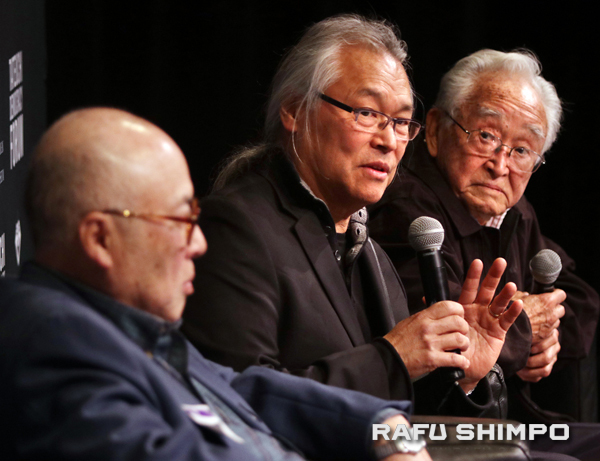 Legacy of an Enduring Spirit” on Feb. 9 at the Japanese American National Museum. 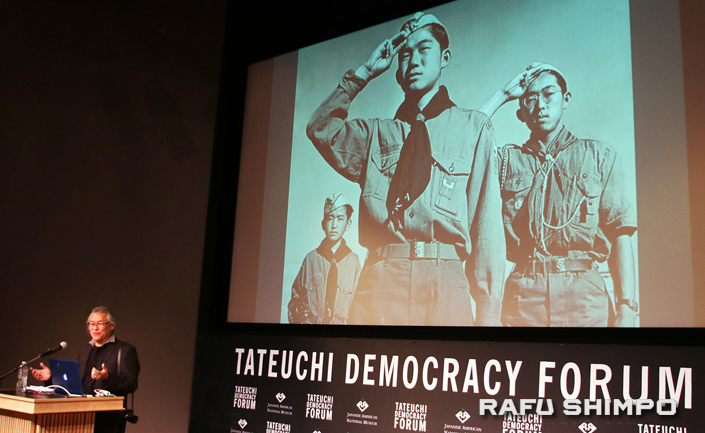 Kitagaki spent years locating and gaining the trust of Japanese American families who lived through the internment camps. Joining him were Jake Junzo Ohara and Eddie Kato, who were members of Koyasan Boy Scout Troop 379 at Heart Mountain. Years later, Kitagaki tracked down the scouts, now in their 80s. He used a 4″ x 5″ camera, similar to the equipment used by photographers in the 1940s. Kitagaki’s journey started in 1983 when he found that a photo taken by Dorothea Lange was of his grandparents and father as they boarded a bus in Oakland en route to the Tanforan Assembly Center. 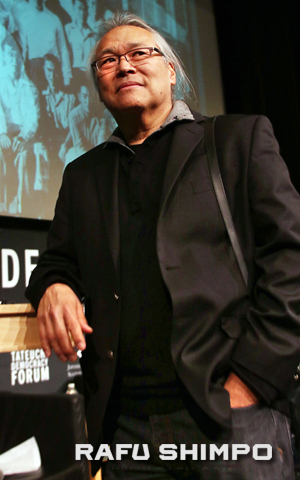 Kitagaki will sign copies of his new book, “Behind Barbed Wire,” on April 20 at 3 p.m. at the museum. “Gambatte!” is currently on display at JANM through April 28. For more information, visit www.janm.org.